The Eagles created an indelible musical legacy over an extraordinary career that spans more than 40 years and includes six number one albums, more than a dozen Top 40 hits, and six GRAMMY Awards. 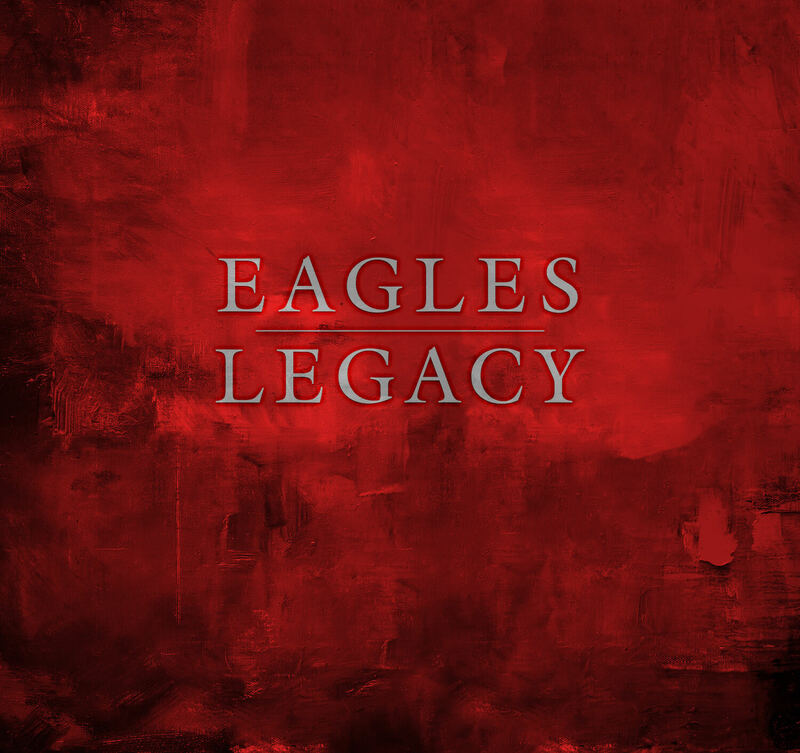 LEGACY, available today worldwide, brings together all the music that made the Eagles one of the best-selling bands in music history in one extraordinary collection. Click here to buy or listen now. Multiple physical and digital version of LEGACY are available now. The first has 12 CDs and includes all seven of the band’s studio albums, three live albums, and a compilation of singles and b-sides. Available for $179.98, it also includes two concert videos: Hell Freezes Over (DVD) and Farewell Tour: Live From Melbourne (Blu-ray). A vinyl version of LEGACY is also available today for $349.98. It has all the music from the CD version on 15 LPs, but does not include the two videos. Both sets are housed in handsome slipcases and accompanied by a 54-page hardbound book that’s filled with rare and unseen photos, memorabilia, and artwork that encompasses the band’s entire career. Several digital versions of LEGACY are also available today across digital download and streaming services. Additionally, the Farewell Tour: Live From Melbourne full concert film is available for the first time as a digital download and rental. Grammy-winning mastering engineer Bob Ludwig remastered Hell Freezes Over and Millennium Concert especially for LEGACY. Both albums – along with several tracks from the Singles and B-Sides compilation – are being released on vinyl for the first time ever as part of this collection, save for a small European vinyl pressing of Hell Freezes Over around its original release in 1994. In addition, the phenomenal double-album Eagles Live is making its long-awaited return to vinyl in this set after being out-of-print for decades. The Eagles - Don Henley, Joe Walsh and Timothy B. Schmit, with Deacon Frey and Vince Gill – have one date remaining in their extensive 2018 North American tour, a December 7 show in Honolulu, before kicking off 2019 with a tour of Australia and New Zealand in February and March. The band will then launch a European tour next summer including a June 23 performance at Wembley Stadium in London. 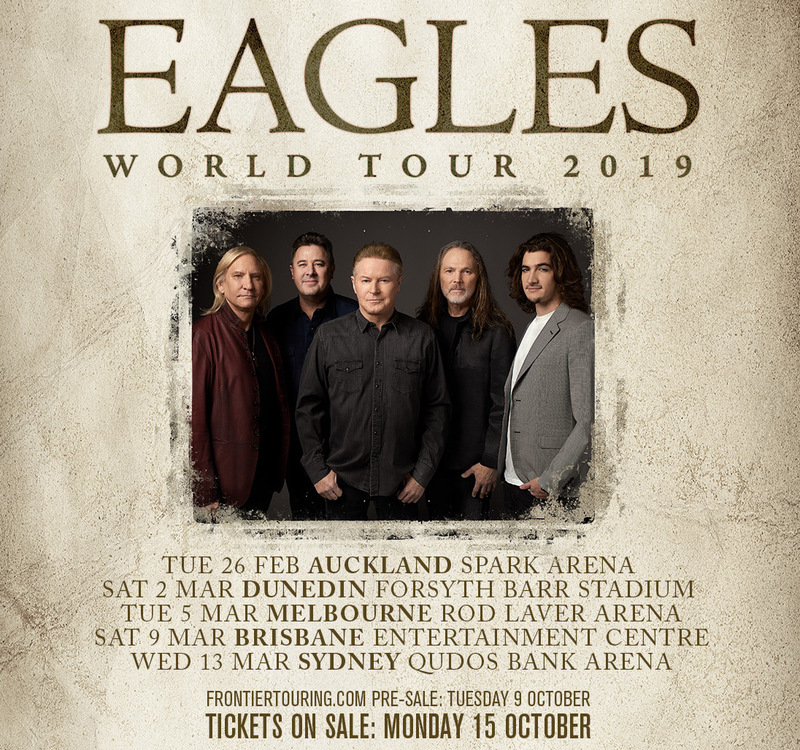 The Eagles - Don Henley, Joe Walsh and Timothy B. Schmit, with Vince Gill and Deacon Frey - will bring their critically-acclaimed Eagles World Tour to Australia and New Zealand in February and March. On this tour the Eagles will be accompanied on stage by an incredible live band that includes a full horn section. Since the tour began in March, the rock icons have performed to more than half a million fans, gathering shining reviews from critics and fans alike. Tickets go on sale Monday, October 15.